30% (estimate) will describe something like this red thing here: four wheels, metal, internal combustion engine. Italian. Depending, of course, a bit in which part of the world you live. In Europe, you’ll get >99.9%, in South-Korea probably <1%. 0.5% will talk about evil bankers issuing fiat currencies. the rest will just say: huh? Whatever. Brands are about relationship. 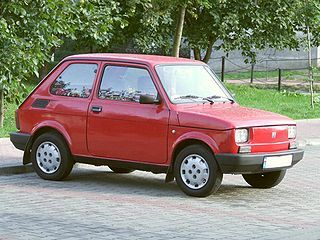 When launching their cuddly 500, Fiat (the Italians), had to put a little bit more effort into that. In the US, just 8 percent had any brand recognition at all. Fiat did some nice things: they hired JayLo, had a nice viral video making inroads, and pushed themselves up to 30%. Still room to grow, but a nice base. If you now think, that a brand is something you can create in a lab, or by hiring a branding agency, you are wrong. Brands are the collective public image of who or what you are, in the eyes of the consumer. You can try to nudge their perception into a certain direction (hiring Roseanne instead of JayLo might not have been that kind of perfect fit for the Italian accessoire-car for the generation Desperate Housewife). But that’s just about it. Your core values will still be represented in your product, you service quality, your tonalities. A real doge: Leonardo Loredan. Brands are about trust. And that’s were the importance for Bitcoin and all other crypto currencies begins. As crypto currencies are backed solely by trust, supply and demand, and a mutual understanding of the economic value this produces. Growing the whole ecosystem from 0 to 10 bn USD was already an amazing feat. But where will the future growth will come from? A network needs a reason to join. Get rich quick A.K.A. speculation on growth works only, if the underlying message comes across to a growing user base (which finally might make the step from investment to every day use). 0 10 bn is fantastic. But 10 bn USD is just about doubling the M2 monetary supply of West Samoa. So there’s some need for growth, if one wants to become a global currency. Now, how does Bitcoinese currently sound? I’m not talking about the misinformed media misconception of yeah sure, just good for buying drugs online, tulip bubble, yadda yadda. I’m talking about how the community talks itself. Brand-linguism (if such a crazy thing would exist) would probably dissect the language as having heavy influences of survivalist, fortified with some geekspeak, with a side serving of free market lingo. The doges of Venice would have been proud to become a part of that. But as far as I know, crypto currencies are not about creating another financial playground for the 1%. Yes, it’s a stupid one trick pony taking over popular meme and exploiting. And, no, this is NOT Bitcoin 2.0 or the future of monetary transactions and whatever else is in the DNA of crypto currencies. But reddit, as always representing the virtual finger on the geeky pulse of the times, shows something happening here. There’s something about this fuzzy nonsense coin, which the crypto crowd has to take serious. Because: Shiba Inu, so much impact. And nobody wants to hug any Austrian economist. You’re right. Crypto currencies are way to valuable to leave them just to the whimsies of survivalist economists and their chart-analyzing investment advisers.